Jack and Jill Bathrooms; The Next BIG Trend? 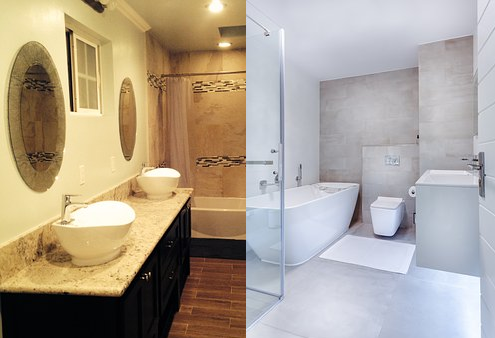 Home designers across the country say more owners are asking for separate “Jack and Jill” bathrooms in one home. Some say it’s for privacy reasons, while others say couples just enjoy having their own space to get ready in the morning. In addition to added space, designers say the best part is that two bathrooms can add value to your home. The trend seems to be most prevalent with older baby boomers who are renovating empty nests or moving into new homes. Demand for a second master bathroom got the most consideration when couples planned to stay in their home for the long-term.